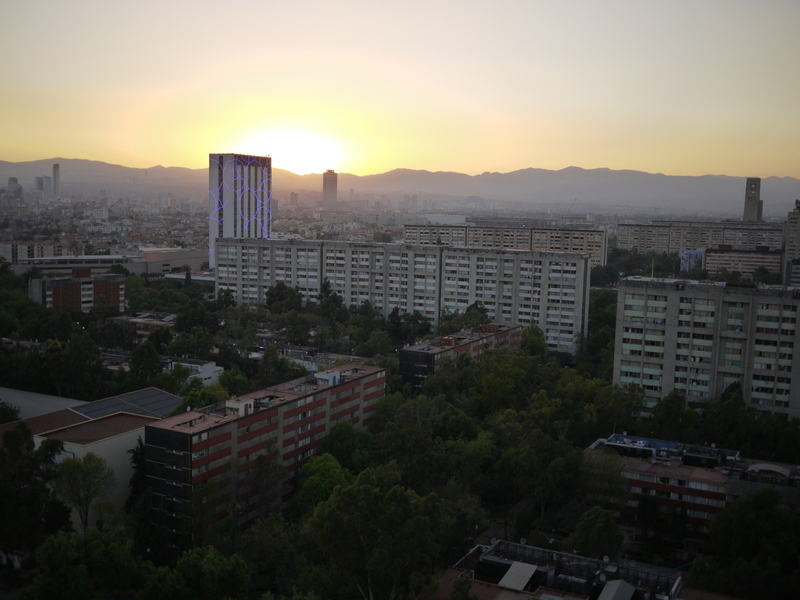 We arrived last Thursday in Mexico city, and already fell in love with this place. It’s absolutely huge (21 500 000 people – 3rd biggest city in the world! ), and there is something for everyone here. 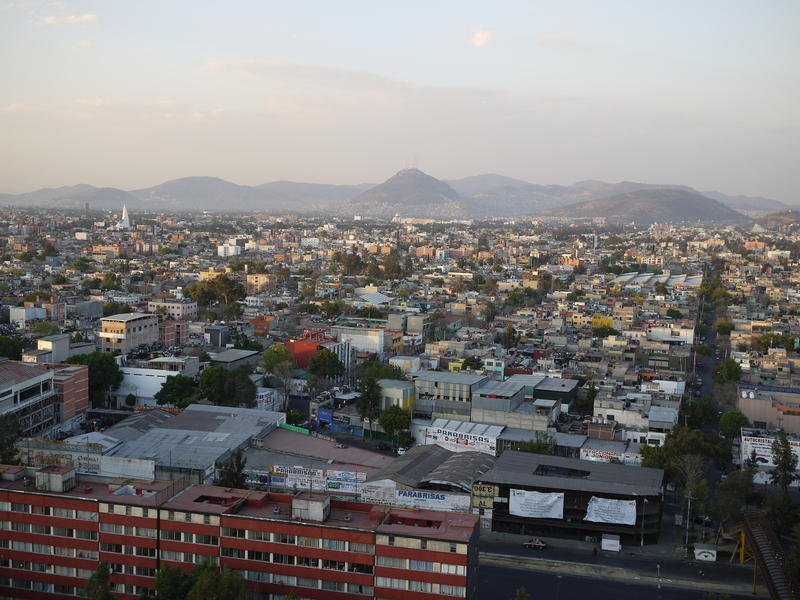 Our temporary home, Hostel333, is located very close to the Bosque de Chapultepec, a huuuge park which is much nicer than Central Park in NYC. We tested it already with a nice siesta on Friday! Haha! In the past few days I have been seriously craving listening to metal. I was used to listening to some more than 4 hours per day. Fortunately for me, I had an extremely metallic past few days that should keep me going for quite a while! On Friday afternoon (after our nap), we went to visit a cool record shop a few blocks away from our hostel, simply called “Hard”. 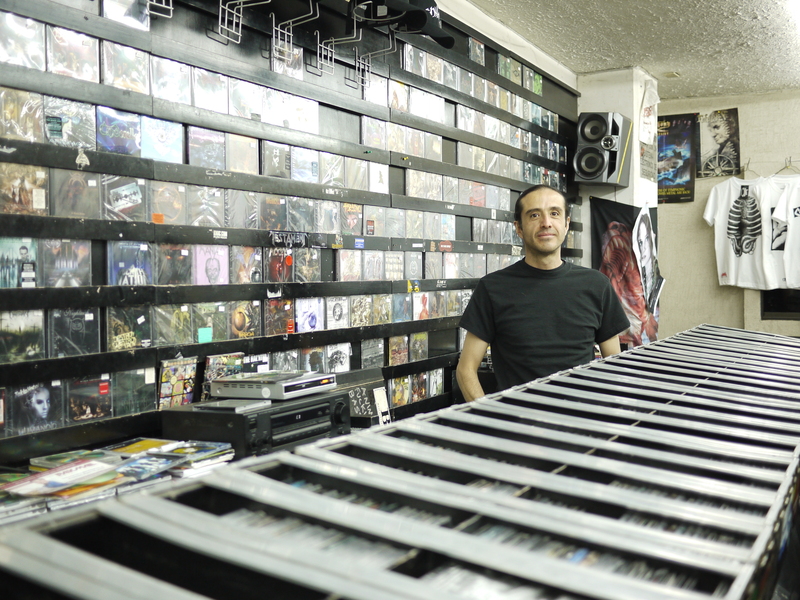 It is run by a nice metalhead named Fernando, and they carry more underground records at extremely good prices (about 15$ USD for a CD). He was very friendly and told us where to go to drink beer, etc… really cool guy! 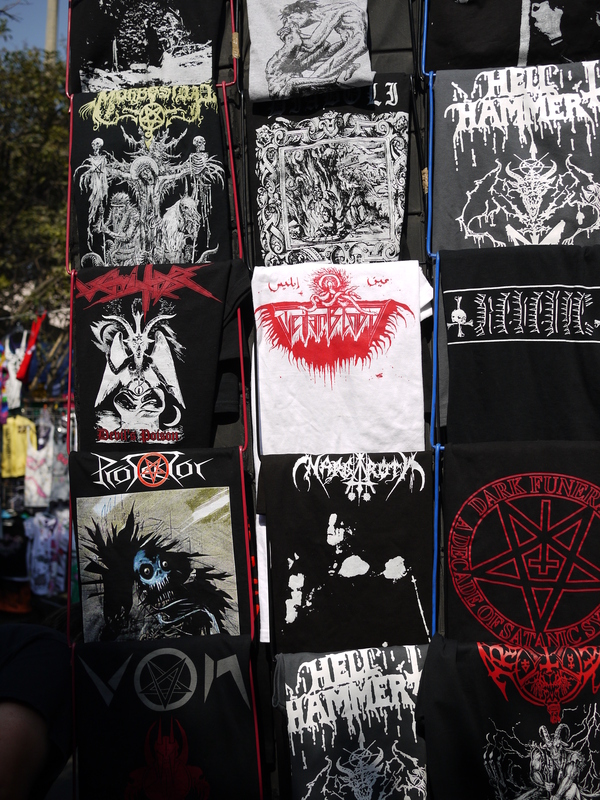 And the store is small but good – they sell CD’s, a few 7″s, some DVDs, accessories (necklaces, bracelets), shirts, caps (François got a great Black Sabbath one). They carried some Saint Vitus and Scald CD’s, which is an instant winner for me. They also had some local stuff for good prices… support this store! Saturday was the biggest metal day I’ve had in a long time. We started the day by meeting Diego (guitarist of heavy metal band VOLTAX) and his girlfriend at the constitution plaza, in the very center of the city. 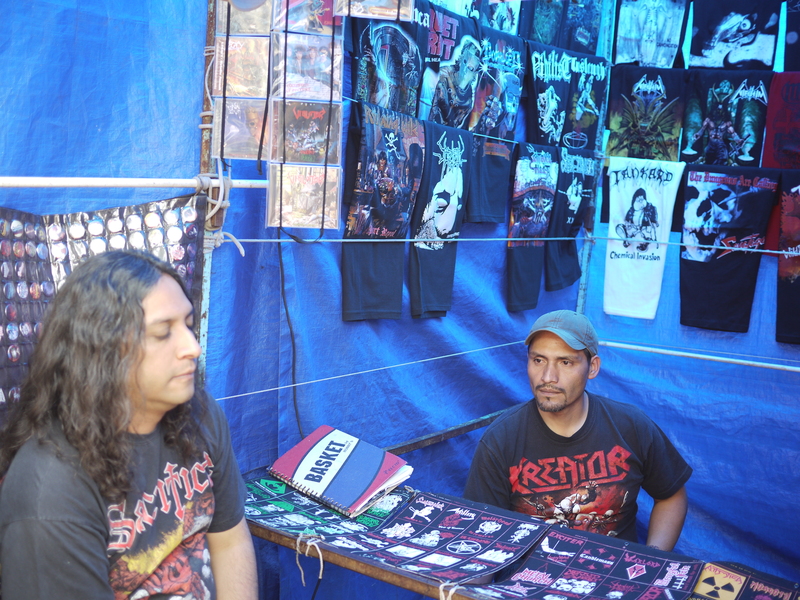 They then took us to El Chopo, a famous flea market for metal, punk, goth and all sorts of other things. It was extremely crowded, but we managed to find a few gems, including a mint copy of LUZBEL – Pasaporte del Infierno on vinyl for a great price (15$ USD!!!). 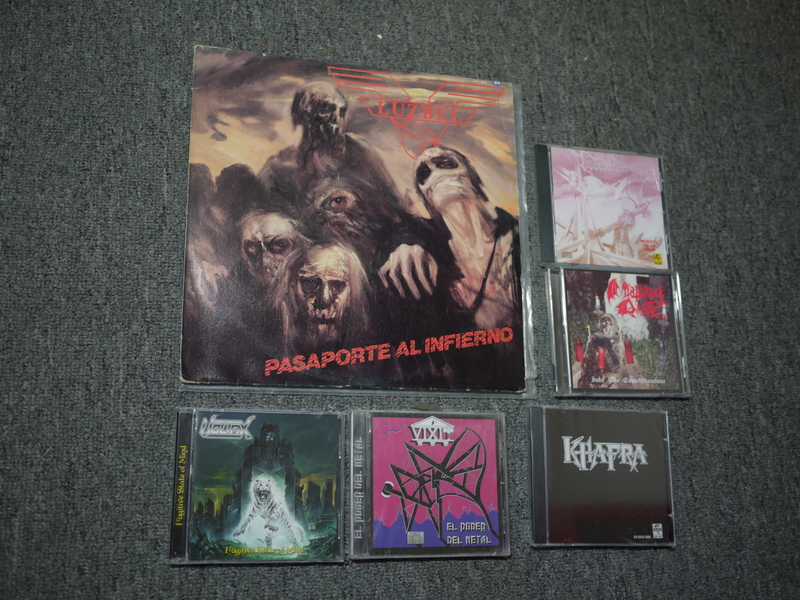 Diego also recommended me some great Mexican metal records, like Khafra’s Kafra, Vixit’s El Poder Del Metal (which I bought), as well as Transmetal’s first LP+EP, Mortuary Drape’s Into the Catachtonium and the new VOLTAX record. A great haul! Also, we stopped at the BLOWER RECORDS stand, which is easily the best stand of all El Chopo in my humble opinion. They had a small collection, but really, really good and underground material. 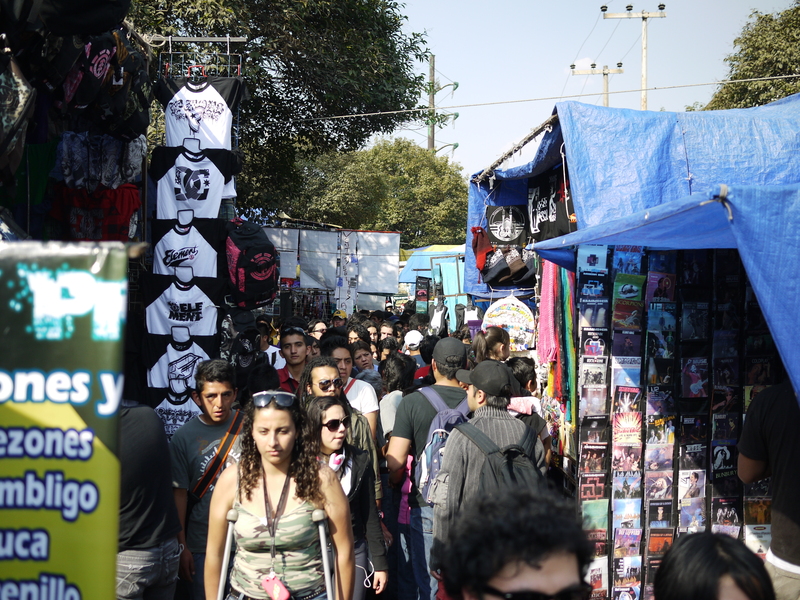 Do yourself a favor, and visit this awesome flea market if you are in Mexico city on a Saturday. You need to take the metro to Buena Vista. We went to eat Tamales and drink Atole de Chocolate (a nice warm corn-based drink, flavored with chocolate) at Fleur de Lis (!!) 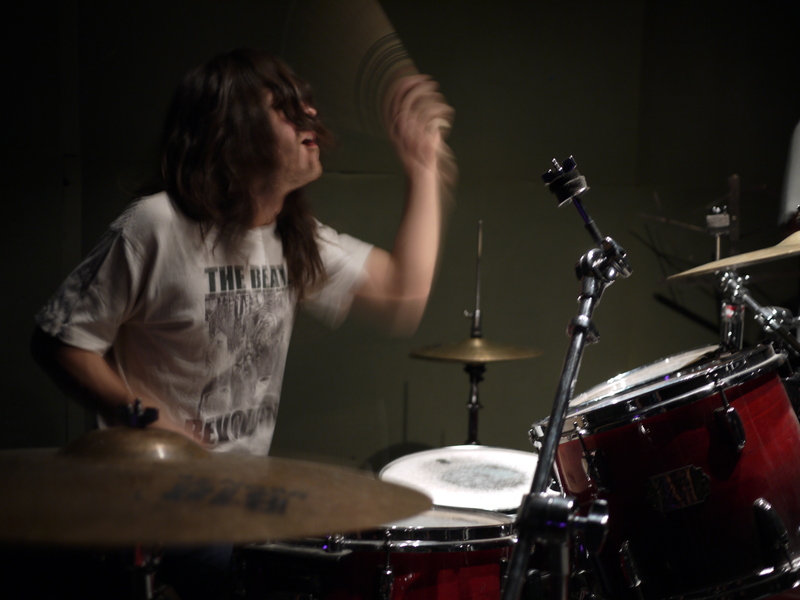 – a well known restaurant in the area, and then went to VOLTAX’s rehearsal, which was pretty much improvisation because their drummer never showed up… haha. 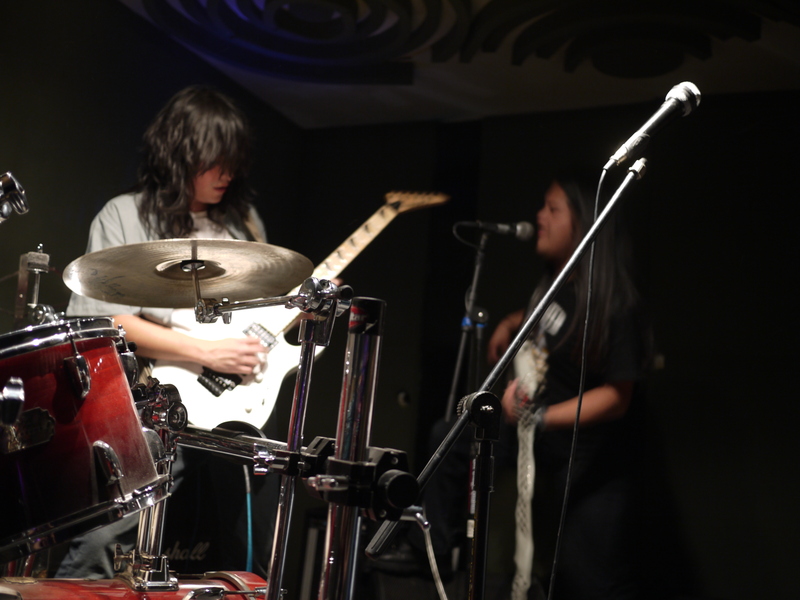 The bassist played the drums, and the vocalist (WHAT A VOICE!!!) 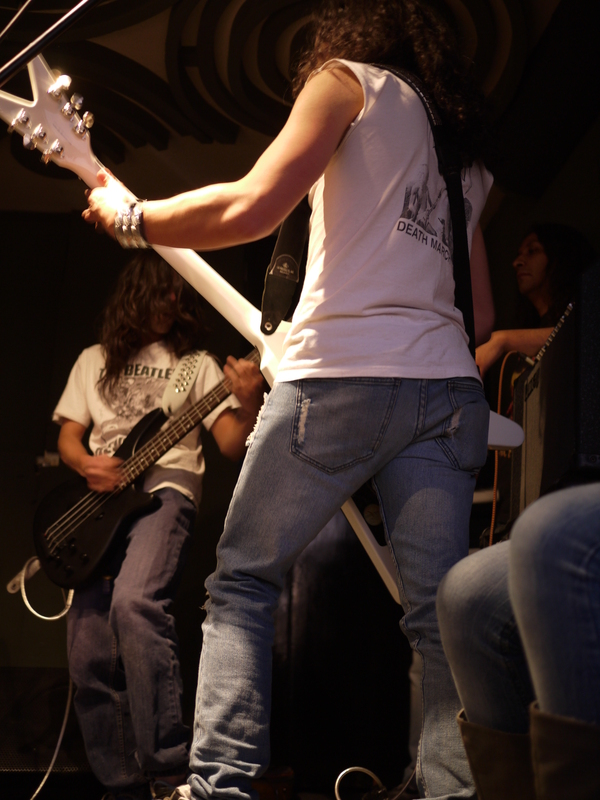 played bass. François and myself were really impressed – we can only imagine how good they must be live! Check out their songs here, on myspace: http://www.myspace.com/voltaxband – their second record, Fugitive State of Mind, is really good heavy metal with catchy riffs and a real metal spirit. After this, we went to see some cover bands at a bar… the first two bands were so terrible, they had really strange distortion and made really bad mistakes – as if they started rehearsing only a few weeks ago. They totally butchered songs like Deep Purple’s Smoke on the Water, Jimi Hendrix’ Purple Haze, Led Zeppelin’s Immigrant Song and more… and what a choice of boring covers! Argh! Then came a band that did only Maiden covers – they were good for two songs, but then I got a Maiden overdose… which was quickly washed away by beer. We were drinking 1,2L of Victoria beer for 5$ each – a steal! Diego and his awesome girlfriend. Check out the huge beer in his hand! The last band we saw before we left was a Judas Priest cover band. 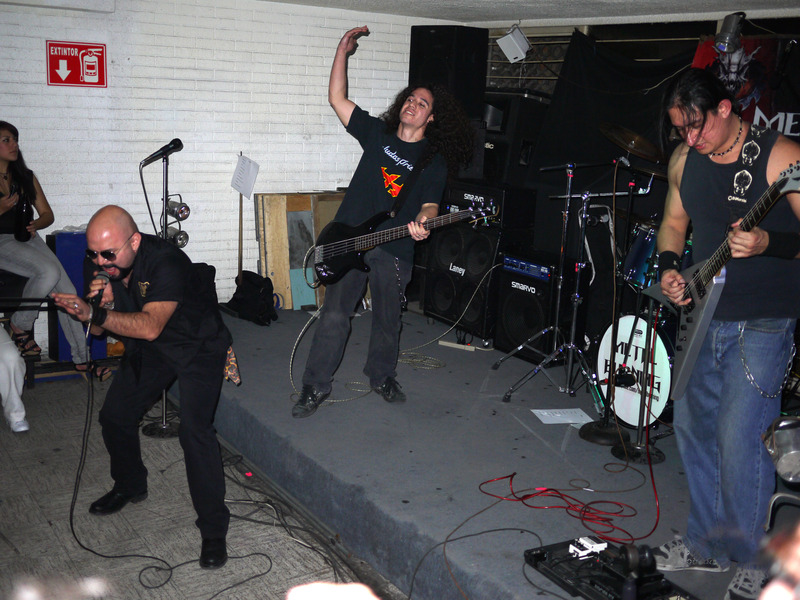 They did Night Crawler, the Ripper, Living after Midnight, etc… not bad, and the vocalist looked like a tiny Rob Halford! 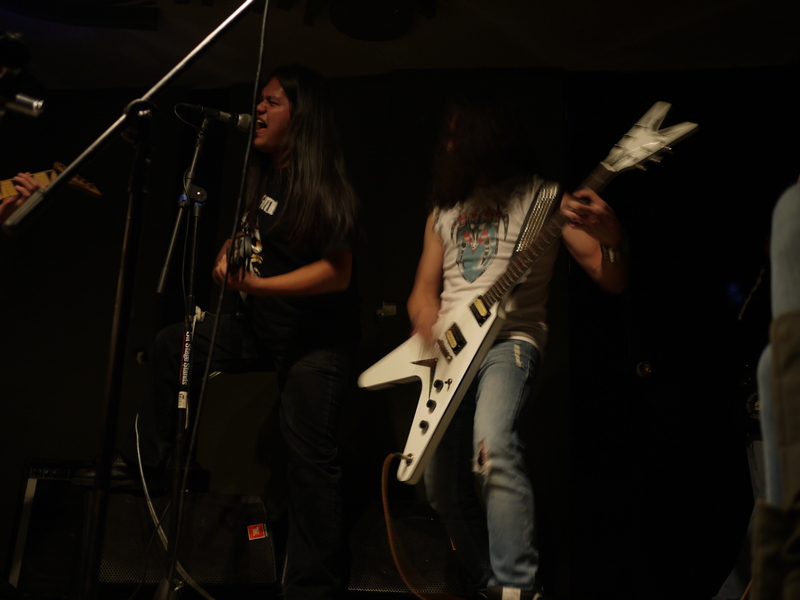 But we left halfway through their set to go finish the night at Diego’s place – listening to some real metal until 4:30 in the morning… ahhh, it truly felt amazing. Today I did nothing at all haha, I slept all day and listened to my new records. 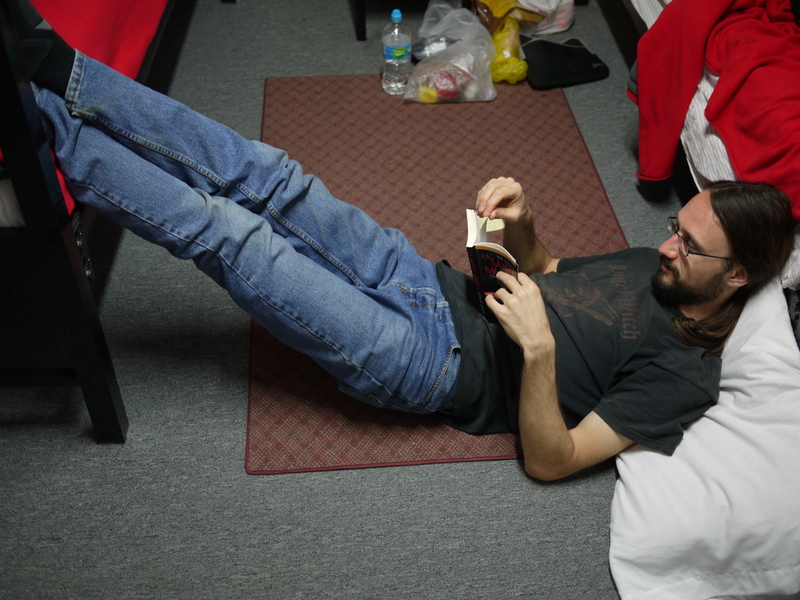 Feels good to take a break – even on vacations! This entry was posted on Sunday, January 23rd, 2011 at 11:11 pm	and posted in Mexico. You can follow any responses to this entry through the RSS 2.0 feed. Absolument fascinant! merci de nous partager tout ca! Icitte y fait frette en caliss! …hehehe Nice to hear you finally find the Pasaporte Al Infierno LP!!! That vinyl is the best album in the Latin American Heavy Metal History !!! Then when you will arrive to Ecuador? P.S. Do you have some stuff to sell? If so!!! please save something for us…!!! Also, would you like to meet to Raul Grenias, the creator of Luzbel??? 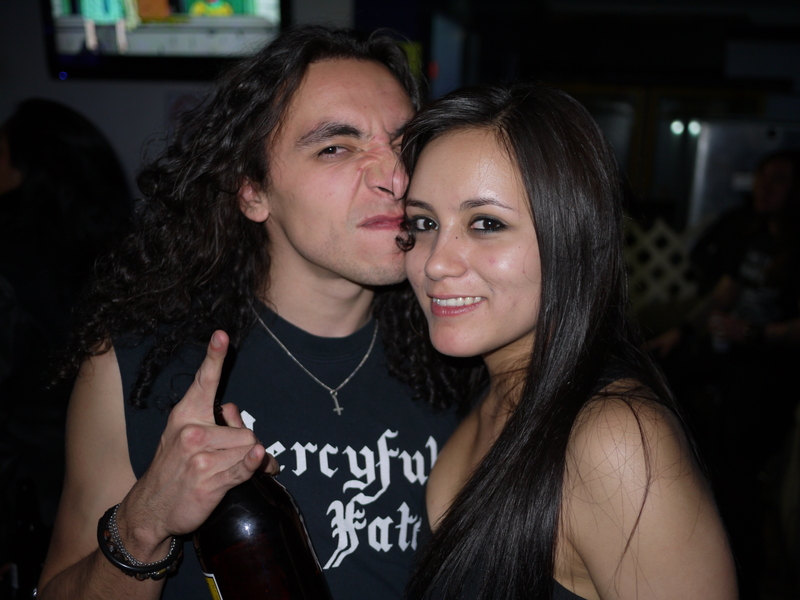 he lives in Cuernavaca City, Morelos State, near to Mexico DF at 85 km, please try to contact him, I have his phone !!! he is so nice guy !!! You are true heavy metal warrios.